There’s nothing better than a colourful surprise when it’s time to celebrate and this ideal pairing of pink roses and mixed gerberas will help you to make your fantasy a reality. Use it today to mark a loved one’s birthday or to say “congratulations” on the arrival of a new baby! Very happy - 5 star efficiency! Petit bouquet from Paris to Berlin.. Perfect service and perfect product! Excellent experience! 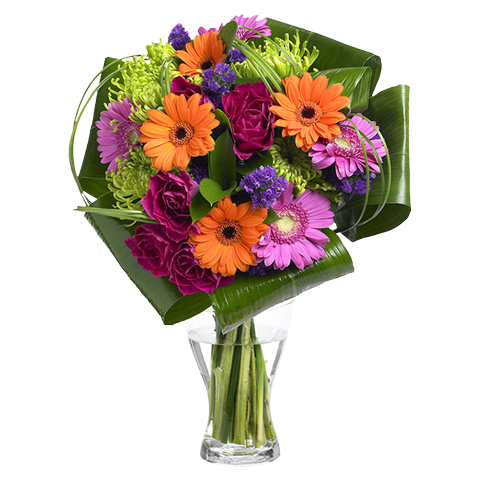 Fast delivery and beautiful flowers. Very clear web-site, easy to order and delivery very good. Really lovely, generous bouquet for my mum in Spain. Thanks . will use floraqueen from now on for all my floral orders!